Poundland opened the doors of its new Hexham store last Thursday (17 November) – and I understand that another Northumberland Poundland will be opening in Ashington soon. The new Hexham store was having a ‘family fun day’ when I visited on Saturday, with the result that every child in Hexham town centre seemed to be carrying a Poundland balloon. Looking beyond the initial razzmattazz, I suspect that the store will still do very well. It’s very visible, carries a good range in a decent-sized space, and lacks much in the way of competition. Though Hexham has a well-stocked but careworn Poundstretcher, the town is relatively unusual for the North East in having neither Wilkinson nor Home Bargains. Meanwhile, having only had one Northumberland store (in Cramlington) prior to Hexham’s opening last week, Poundland is set to quickly add a third. I understand that the retailer has taken over the old Ethel Austin premises in Ashington, with contractors already on site and jobs being advertised. Given the quick turnaround in Hexham, we can surely expect the Ashington store to be opening well before Christmas. Coming hot on the heels of recent new stores in Peterlee (in the former Woolworths – which I obviously need to visit! ), Bishop Auckland (another ex-Ethel Austin) and Durham’s Arnison Retail Centre (previously Bensons for Beds and Ponden Home), Poundland’s expansion in the North East certainly shows no sign of letting up just yet. 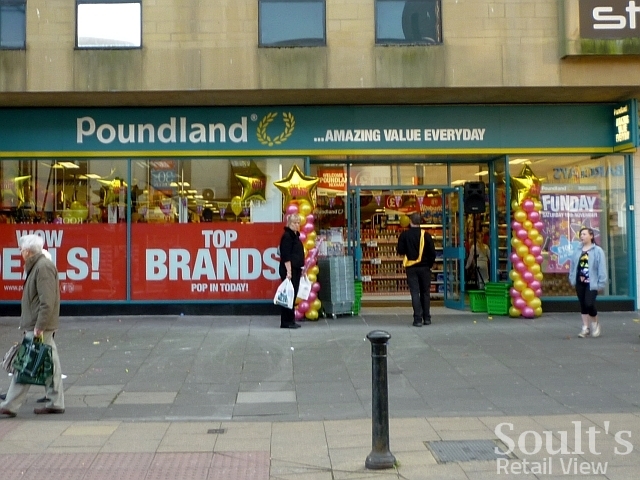 With a UK store count now at more than 360 and rising, Poundland’s estate has increased by an astonishing 200 shops in the last three years. 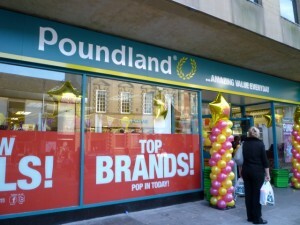 However, there must surely become a point – in just a few years’ time at the current rate of expansion – where Poundland has stores in almost all the places where it wants them. Little wonder then that Poundland has recently launched a new fascia, Dealz, that it can potentially roll out across the eurozone, starting in Ireland. 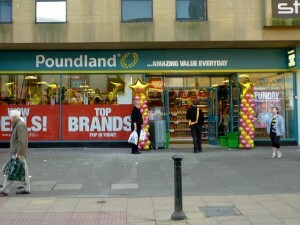 It’s a canny move that should ensure Poundland’s continued expansion, even once its domestic market is saturated.